When the motor blew in his own car, Cameron McGlashan believed his season was over at that point. 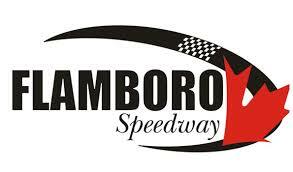 However, a generous offer from fellow competitor Dave Middel to borrow his car paid off with a heat victory on Saturday night at Sunset Speedway. Blowing the motor in practice, McGlashan switched to Middel’s No. 25 Mustang for the first heat, and came out on top with the victory. He then backed it up with a seventh in the second qualifier. Starting the feature from ninth, he would battle side-by-side with Lisa DeLeeuw for sixth in the early stages, before fading back to ninth by the second caution at Lap 5. Restarting just inside the top-10 with 21 laps to go, he continue to fall back through the field, scored 12th as of the next caution at Lap 10. From there, he continued to battle hard, though ultimately crossed the finish line in 13th at the end of the feature. McGlashan Motorsports are set to compete at Sunset Speedway on Saturday, September 16 as part of the final night of NASCAR Whelen All-American Series (NWAAS) competition this season. McGlashan entered Saturday night sitting fourth in the track standings just 10 markers behind third. He was also scored 11th in the NWAAS National standings, just 12 points outside of the top-10. The NWAAS puts Sunset’s drivers up against competitors from 60 different tracks across North America, with each driver earning points based on their finishes at NASCAR-sanctioned tracks.